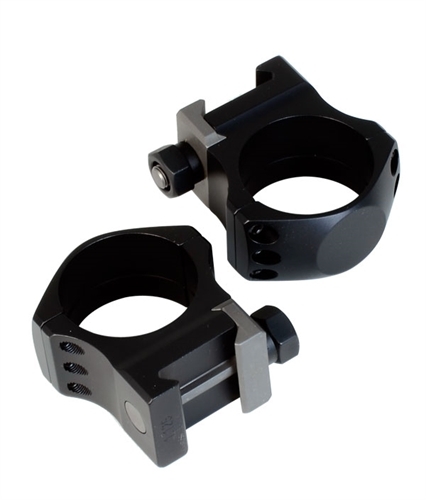 XTRM – Ring Set – 1.125″ High – 34mm – Ultralite™, 6 screw – When a tough, reliable mounting system is required without adding substantial weight, Nightforce Ultralite rings are the answer. They feature CNC machined 7075- T6 hard anodized aluminum bodies and titanium beta series crossbolts and jaws. This unique construction provides exceptional strength, normally not found in lightweight rings. Testing has proven that this combination is actually stronger than steel.